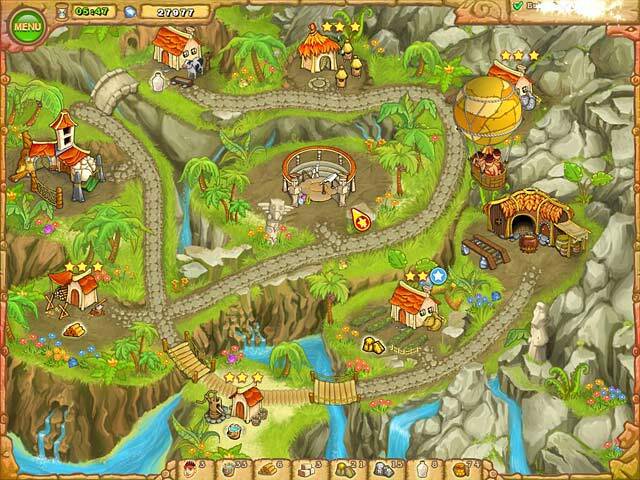 Island Tribe is rated 3.9 out of 5 by 21. Rated 4 out of 5 by IvanRic from A great game Definitely not the best in its genre, but I really enjoyed this game. It wasn't too hard to get gold on all the levels, except for the last handful of levels. There are still a few I need to try again for gold. Like most in its class, there is strategy involved, knowing which resources to collect/harvest first in order to get the best time. The graphics are okay, nothing special. Fun factor is great. I do recommend this game for TM fans! 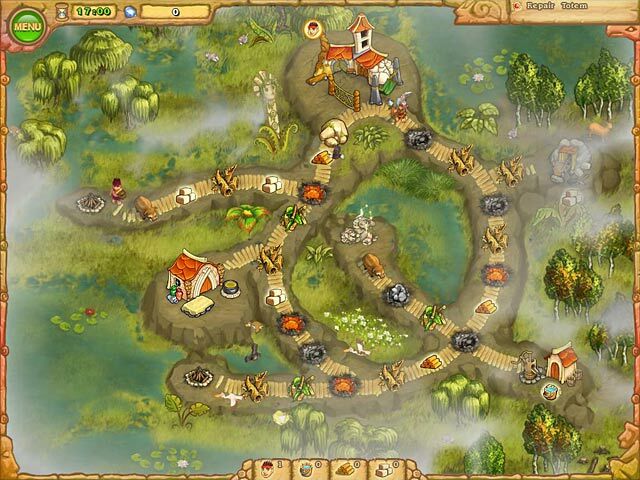 Rated 4 out of 5 by castey from Love this game I have purchased all the island tribe series and love each one. I find them challenging, exciting to play and requires some skill even for an expert. If you are looking for a fun addictive game, GET THESE! 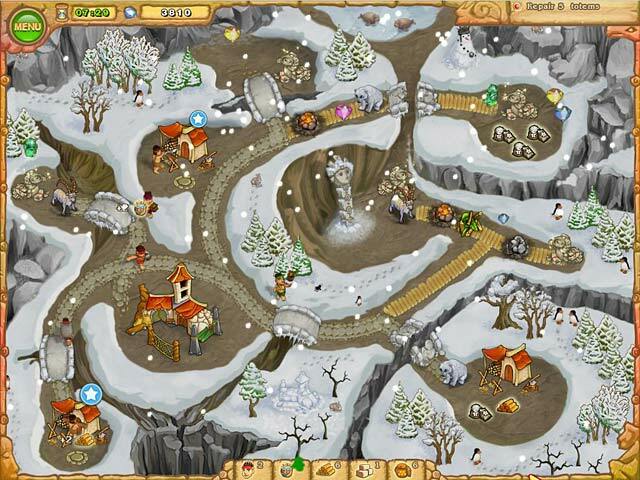 Rated 4 out of 5 by myyorkies1994 from A Fun Series! After trialing many TM and Strategy games, I've found this series to be one of my favorite! The graphics are bright and colorful, and sound is tolerable. My favorite point of the series is that your can queue tasks for your workers, so that even though they DO have to return to camp after each task (sometimes they can group 2 tasks together), you know where they are headed next. Also best is that the resources regenerate quickly when you upgrade your buildings, but I hate when the lightening strikes! There is something going on all around the game board, all the time! And the fireworks at the end of each level are cool! I love fireworks, no matter where they are! Remember to collect your diamonds! Rated 4 out of 5 by DrDavid from A pretty good time management game I usually play HOG and M3 games and avoid time management games because I neither want to run a kitchen or catering service or farm. I played Kingdom Chronicles and found that some time management games are great fun, however. Then I played Gnome’s Home and was hooked. 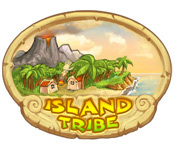 I tried a few other time management games and finally selected Island Tribe for a nice change from my usual fare and a generally fun time. It was not the equal of the aforementioned two games, but it was pretty good. I play the easiest level and just try to have fun. This game hit the spot. Rated 3 out of 5 by MercuryNeptune from Short but sweet There are only 30 levels in this resource collection time management game. The graphics are OK but not great and the time is generous for the most part. There are no levels and you have to start over if you run out of time. I don't know if it is that way for the other games but I'll give them a try. I have started on a TM kick and enjoy them for passing the time. Nothing hard in this game which is good or bad depending on if you want a challenge. Good enough for a coupon or sale. Rated 3 out of 5 by ringobabe from They get better I really liked the Northern Tale series, so when I saw this was made by the same folks I bought the whole set (currently five games, on one of BFG's two-for-one days). Then, when I played this first game, I was really annoyed that I'd bought a kid's game. This game has cute graphics, but minimal challenge or strategy, and some annoying UI issues (you have to collect gems separately from other actions, you can't uncheck something once it's checked, etc.). It's fun to watch the easter eggs, but as a standalone it's not worth it. Fortunately, the games get better as you progress through the series. The second one is harder, though still has some UI issues (finding the artifact is pretty much impossible the first time through a level, etc.) The third and fourth games were downright enjoyable, and I'm looking forward to playing the fifth. And the graphics are adorable. The storyline is pretty minimal, so you can skip the first two games and still play later ones in the series without missing too much plot. But I'm now satisfied with the set. Rated 3 out of 5 by pony0011 from Way too easy This game has absolutely no challenge to it at all. Rated 2 out of 5 by jivvyssweety from Don't bother I reinstalled this game after having so much fun with #3. Mistake! I forgot how boring it is. There is no challenge to the levels whatsoever. If you just want a game that kills time but offers no incentive to think, this is the game for you. Rated 1 out of 5 by cposey11 from Terrible Hate these types of time management. All exactly the same and boring. Can't believe there are so many of this type. Rated 1 out of 5 by sumitan2011 from Every time! I loved the weather game that was similar to this so I thought I'd give it a shot, but boy howdy. This game was bad. I hated the fact that each time you gained a material you HAD to run back to your little camp to drop it off before doing anything else. It was a waste of time. Now if you excuse me, I'm going to go back playing Weather Lord.